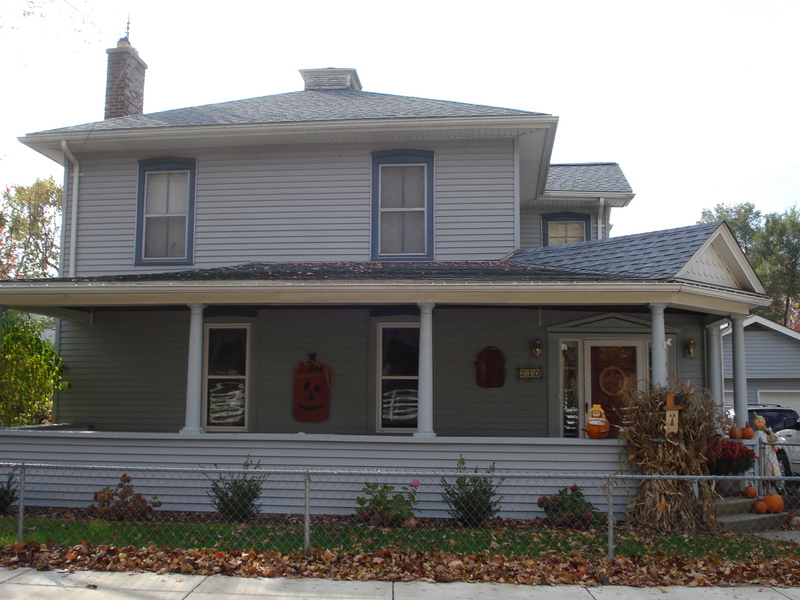 Many of you will recognize the last name of the original owners of this house, Frank and Mary Lancaster. They willed the house to their grandson, Frank Burroughs who for many years ran the corner drug store. Some other owners included Mr. and Mrs. Butterfield, Wayne and Hendrika Hulett, Dwight Saxton, and the owners that nominated the home for the award, Mark and Tylene Smith. 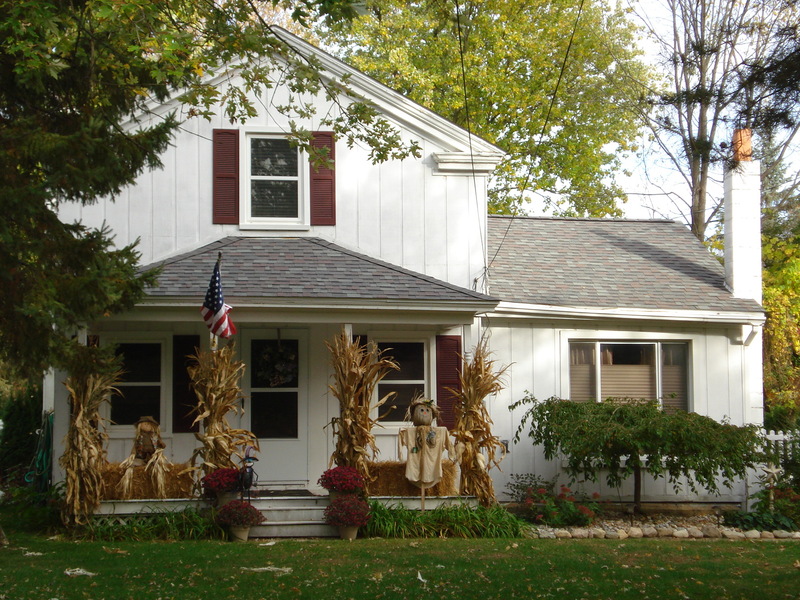 This home was originally wood sided with a stone foundation and stands on its original location. It is rumored to have possibly had a chewing gum factory on the premises. Wood sided Greek revival house with a stone foundation. Owners include Winthrop “Harry” Chandler & Rebecca Chandler (who owned the land in 1852), Charles & Augusta Brooks (1856), Charles and Carried Corwin (1902), Guy and Grace Katner (1935), Melvin & Elizabeth Pardee (4/24/1942 for 10 minutes), Arthur and Martha Rudel (1942), Hans & Esther Schmidt (1969), Frederick and Gae Miller (1975), and the couple who nominated the home, David and Barbara Pope, who purchased the home in 1985. This home has a funny story. When I first met nominating owner Avis Malynick, I asked her if there was anything unusual or if there was anything that she found in the home. She told me that there wasn’t anything more than a dollhouse kit that she had found. 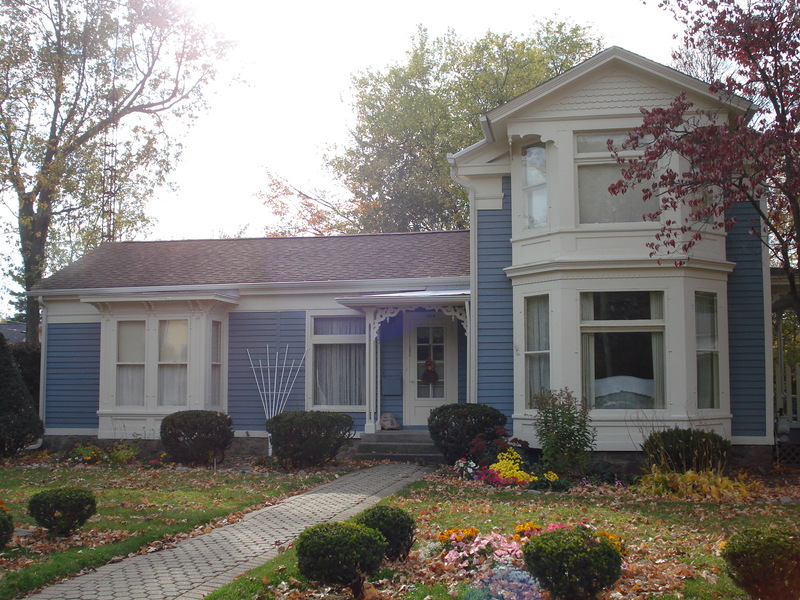 Sharon, our archivist, had overheard us talking and shared with us that did have significant meaning because the man that lived in Avis’ house had actually owned Woodward’s Village Gift Shoppe which specialized in miniatures and dollhouses. The original owner was James B. Priest. Subsequent owners include Robert Crosby, Mrs. George Walters, Lillian Crosby, Catherine Crosby Wilson and Glen Wilson, Jessie (Gus) Smith and Dorothy Smith, Carl and Suzanne Woodward, and nominating owners Avis and Richard Malynick. 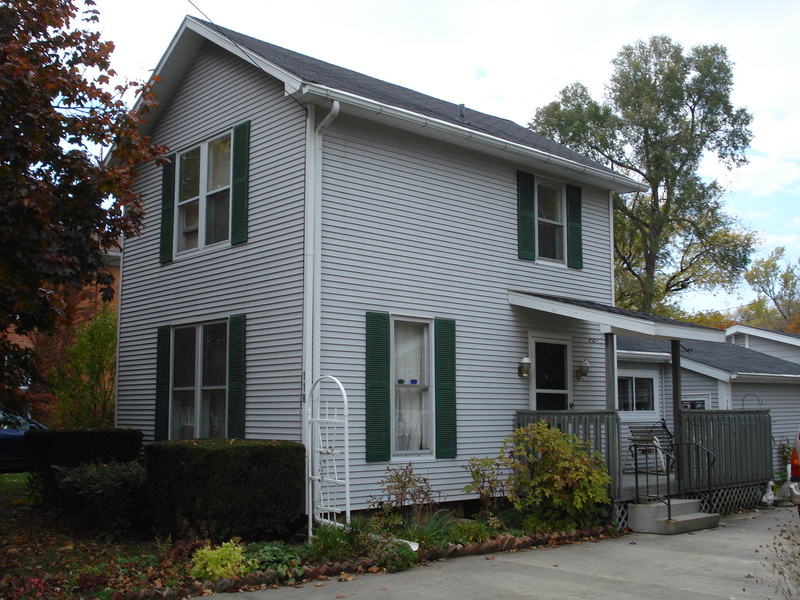 The nominating owner for this home is Marie Breeding. Marie’s home was originally owned by William Powell who sold it to Alervia Fisher who then sold it to Robert and Mary Terrberry. Mrs. Terrberry was a very progressive dressmaker. I noticed that this home was also owned by George and Ruth Wynn. 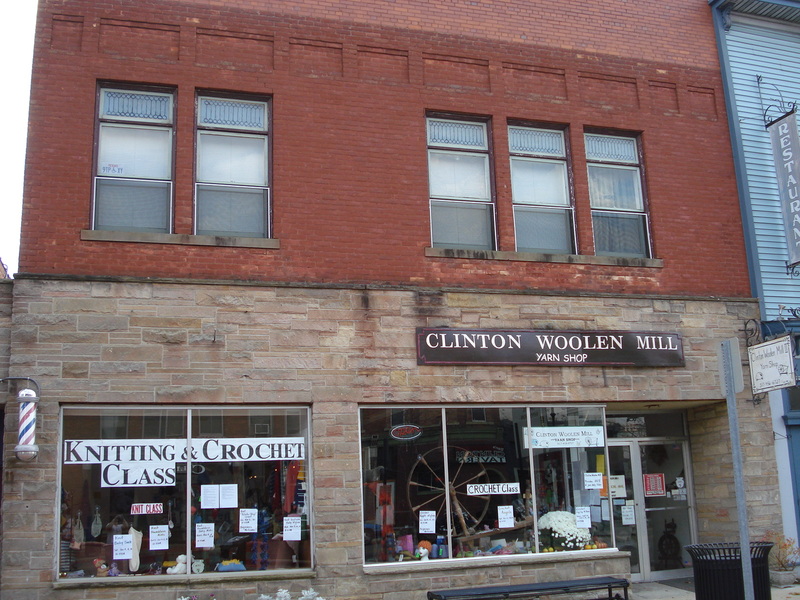 We all know this building as the Clinton Woolen Mill Yarn Shop. Nominating owner, Marjorie Krueger is the first of our two businesses that have been accepted for Building Marker this particular year. This building also served as a bank, barbershop, and dentist office along with other businesses during the years. The nominating owners are David and Diana Wanty. Their home has the distinction of being the only home so far in the Building Marker Program that is not on its original lot. 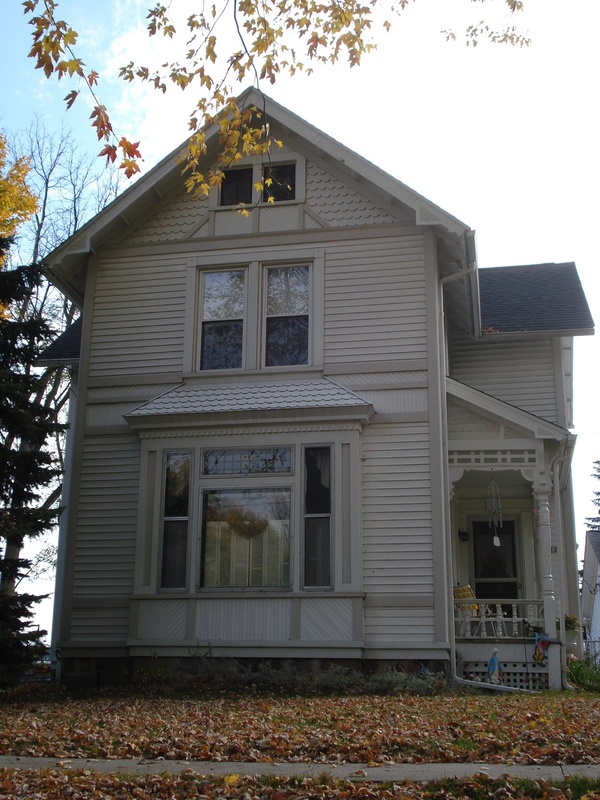 It was moved in 1965 from Michigan Ave to its current location on Brown St. This building marker was presented to the Episcopal Diocese of Michigan and St. John’s Episcopal Church for its building at 124 E. Church St. Our research has shown her beautiful rectory to have been built in 1889 at an original cost of $1,000. 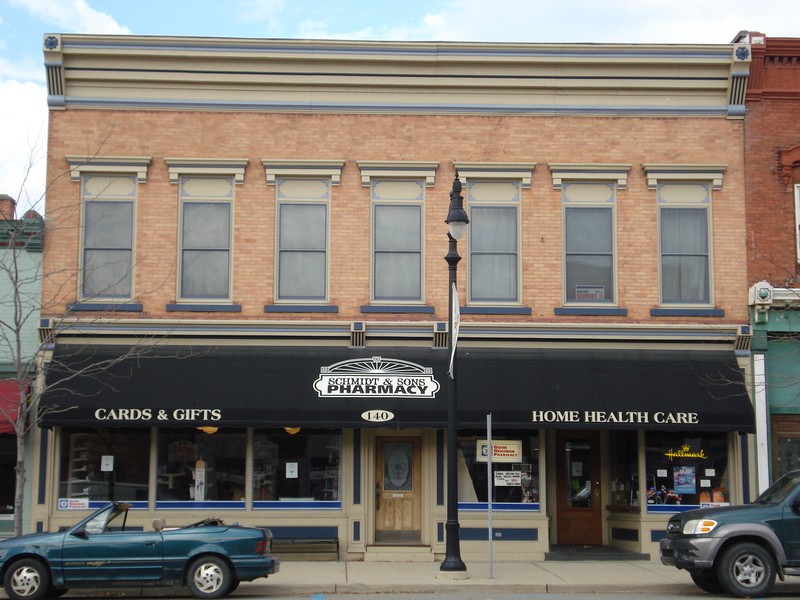 Harvey Schmidt is the nominating owner for the building at 140 W. Michigan Ave. We all know this building as Schmidt & Sons Pharmacy. Harvey’s is the second of our two businesses that have been accepted for Building Marker this particular year. This building was once two separate stores and has served as a general store and a post office at times in the past. 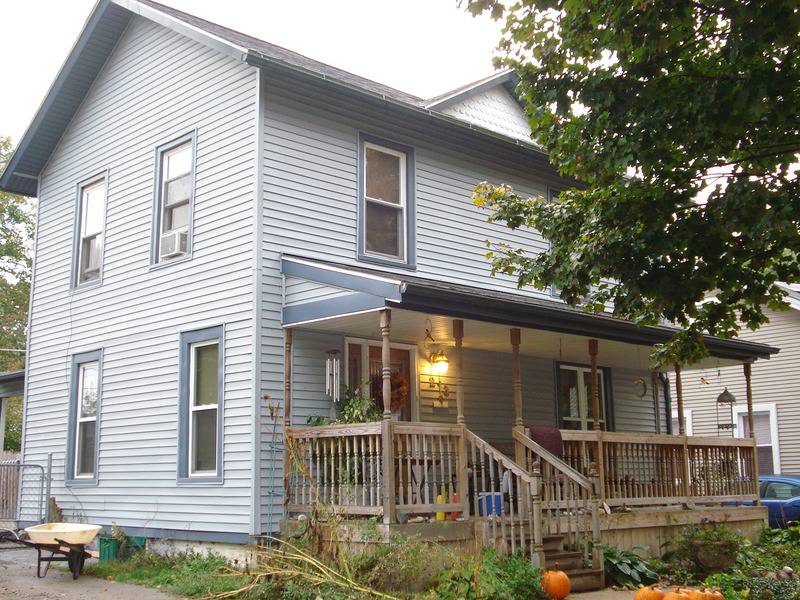 Mike Houghton is the nominating owner for the home at 402 N. Jackson. 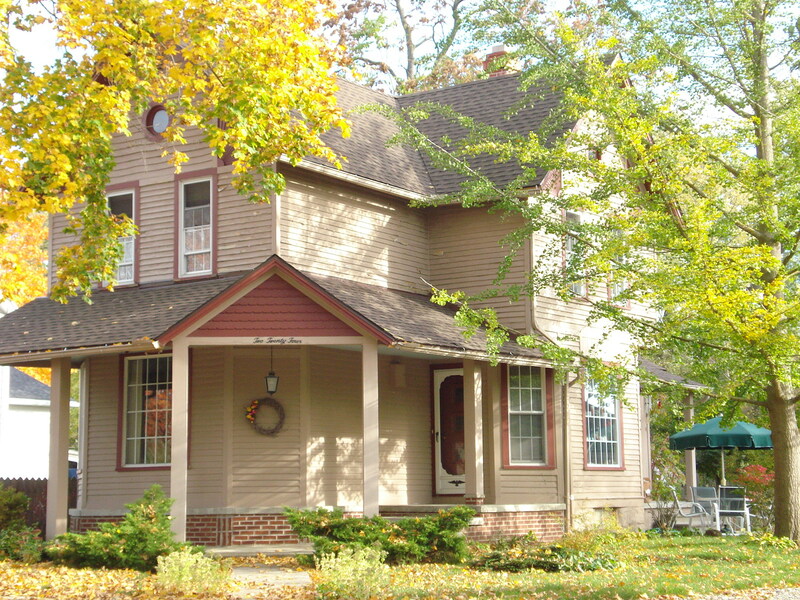 Mike’s home is another nice example of a Greek revival style house.